Magnetic nickel ferrite (NiFe2O4) was prepared by sol–gel process and calcined in the 2.45 GHz singlemode microwave furnace to synthesize nickel nanopowder. The sol–gel method was used for the processing of the NiFe2O4 powder because of its potential for making fine, pure and homogeneous powders. 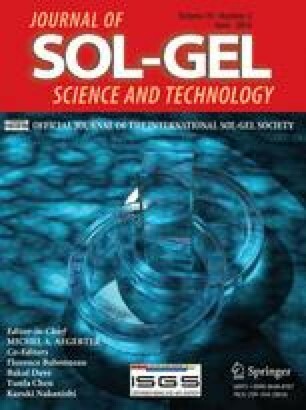 Sol–gel is a chemical method that has the possibility of synthesizing a reproducible material. Microwave energy is used for the calcining of this powder and the sintering of the NiFe2O4 samples. Its use for calcination has the advantage of reducing the total processing time and the soak temperature. In addition to the above combination of sol–gel and microwave processing yields to nanoscale particles and a more uniform distribution of their sizes. X-ray diffraction, energy dispersive X-ray spectroscopy, transmission electron microscopy and vibrating sample magnetometer were carried out to investigate structural, elemental, morphological and magnetic aspects of NiFe2O4. The results showed that the mean size and the saturation magnetization of the NiFe2O4 nanoparticles are about 30 nm and 55.27 emu/g, respectively. This method could be used as an alternative to other chemical methods in order to obtain NiFe2O4 nanoparticles. We gratefully acknowledge the financial support from the Brain Korea 21 Program of South Korean Research Foundation and Changwon National University, South Korea. One of the authors Ramakrishna Reddy Rajuru thanks University Grants Commission (UGC), New Delhi for providing Basic Science Research (BSR) faculty fellowship during this time when part of the work has been carried out.